Sundha Mata temple is about 900 years old temple of Mother goddess situated on a topmost ridge called 'Sundha', located in Jalore District of Rajasthan. 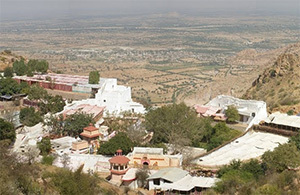 It is 64 km from Mount Abu and 20 km from the town of Bhinmal. The environment here is fresh and alluring. The waterfalls stream entire year and the lodging at the valley made in yellow sandstone of Jaisalmer attracts everybody. Sundha temple is made up of white marble, the pillars reminds the art of Abus' Dilwara temple pillars. An exceptionally excellent idol of goddess Chamunda is available under the immense stone. 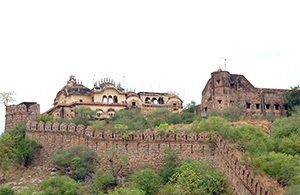 Jalore Fort is the primary fascination of Jalore, a town in the Indian state of Rajasthan, one of the nine palaces of the Maru', under the Paramaras in the tenth century. This fort is a property of State Government's archeological department and a secured building since 1956. 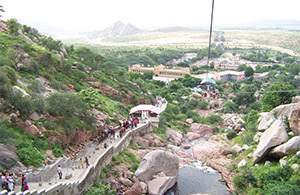 It is arranged in south of Jalore 1200 feet over the mountains. A crisscross route leads to the fort upon the mountain where on each one stage the altitude continues expanding. Jalore Fort is viewed as a standout amongst the most secure fortifications of the nation. The fort has four huge gateways anyway it is approachable just from one side, after a two-mile (3 km) long serpentine climb. Amidst Jalore Town, leftovers of a Sanskrit school and a sanctum of King Bhoj who was a researcher of Sanskrit are found. 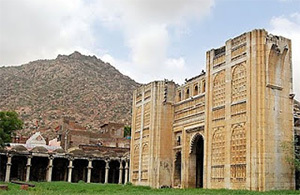 Lord Bhoj was known for building various schools in Dhar, Ajmer and Jalore. Throughout the pre-independence period, mounted guns were kept in these school structures and it was known as Topkhana. After independence, the supply officers converted it into storage for nourishment grains. This building is presently under the state's archeological division and is monitored by security staff. This school is beautified with stone carvings, which is a significant fascination of this site. There is a temple on the left side of the primary gateway of the school that may have housed a symbol or a Shiva Linga, previously. Bhandavpur that was at one time a piece of Mangalva Gram Panchayat now is itself a gram panchayat and is 65 Km. far from Jalore District headquarter and 2 Km. 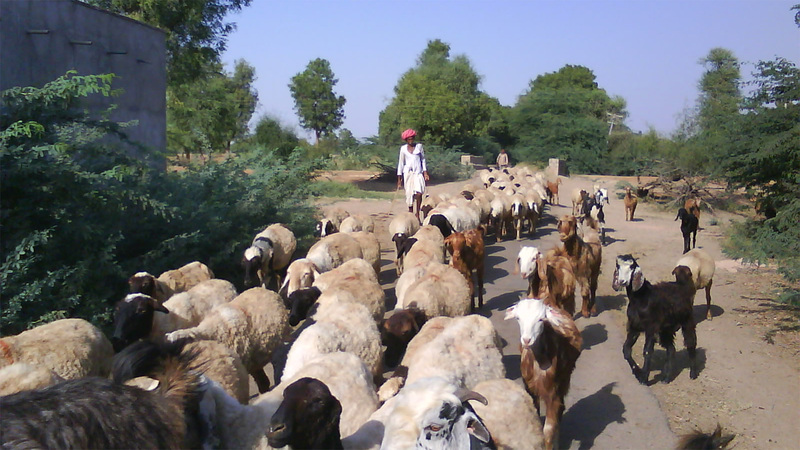 from Sayla panchayat samiti towards sindhiri Bhinmal street it is situated. Here there is large Jaina temple 600 years of age. The statue of Lord Mahavir Swami is 1200 years of age here in this temple. Being an old sanctuary it has been repaired three times. For first time it was repaired in 1359 Vikram Samvat, Secondly in 1654 Samvat and in 1988 for third time by Swetambar Jain Shri Sangh.